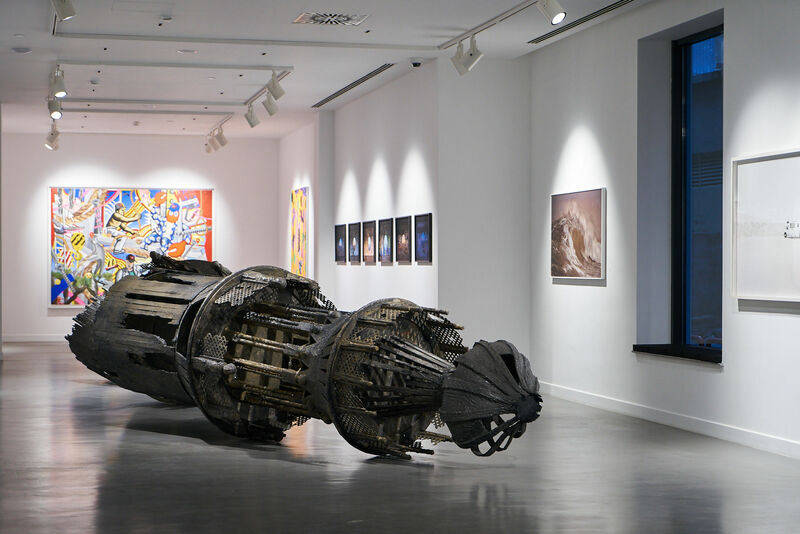 Running until March 2019, Terra is a group exhibition at Gazelli Art House in Baku, Azerbaijan. Terra presents the work of Aziz+Cucher, Derek Boshier, Stanley Casselman, Charlotte Colbert, Philip Colbert, Jane McAdam Freud, Shan Hur, Francesco Jodice, Kalliopi Lemos, Giovanni Ozzola, James Ostrer, Saad Qureshi, Yoonjin Jung, Hyo Myong Kim and Walter Hugo & Zoniel. The overarching theme of the works in Terra is the representation of landscape. In particular the works in the exhibition focus on the dynamism of landscape and how this can be expressed and explored through digital media. Through print, painting, sculpture, installation and other media they explore the geographic, personal and economic resonances of place. Among the exhibitors are Charlotte Colbert, Philip Colbert, and whose works are available on Sedition. Terra is on display at Gazelli Art House, 172 Lev Tolstoy str., Baku 1000, Azerbaijan until March 2019.